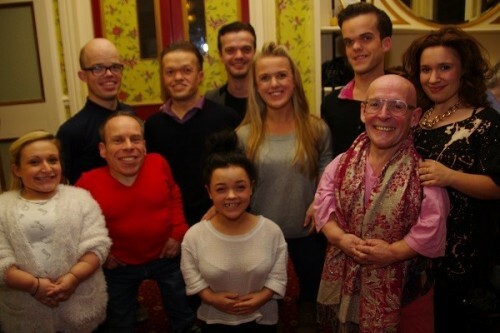 Warwick Davis and his Reduced Height Theatre Company came to the Devonshire Park Theatre on Monday night as part of their tour of Philip King’s farce, “See How They Run”. The company was formed by Warwick to give short actors the opportunity to perform in productions on a level playing field which, up to now, they have never had the opportunity to do. The production offered a cast, all of whom were of short stature, and a set which was scaled down to suit the average height of those taking part. After the performance the company were welcomed in the Theatre bar.